Wa She Shu Casino has teamed up with Atlantis Casino Resort Spa in Reno to offer a Sportsbook! 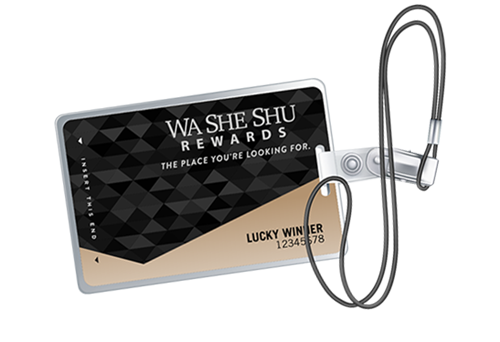 ​At Wa She Shu Casino, located on Hwy 395 N. in Gardnerville, Nevada, we've got everything you want. Great food. Great fun. And real gaming excitement! With over 130 of today's hottest games on our exciting casino floor, and a delicious restaurant serving up the flavors you love, this is your place to play. For more information call (775) 499-1260. Looking for some great entertainment? Wa She Shu will be featuring The Crow Daddies, 1st Friday of every month, from 7pm - 10pm. Come out and enjoy the sound of warm blues, while playing your favorite games! Win a Share of up to $100,000 CASH and FREE Play! Get one entry for every 50 base-points earned between 7am Monday - 8pm Friday. * Three Guests will be drawn each hour to win a share of up to $100,000 CASH and FREE Play! When you belong to Wa She Shu Rewards, the benefits are nearly endless! Stop by PLAYER SERVICES and sign up.